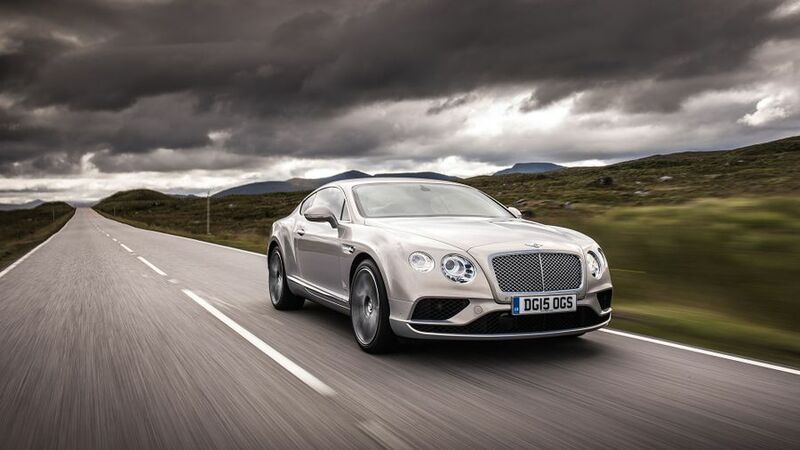 Despite its curvy looks, the Bentley Continental GT is not a sportscar. It’s a Grand Tourer, and that means it’s designed to do massive mileages in one hit, and deliver its occupants to their destination in comfort and luxury. Compared with rival Grand Tourers like the Aston Martin DB11 and McLaren 570GT, the Bentley Continental is much more focused. It concentrates on providing the ultimate GT experience, rather than getting too distracted by the pursuit of sportiness, and it’s all the better for it. Few cars can munch through the miles as quickly and as easily as the Bentley, but it’s also thoroughly engaging to drive, hugely pleasurable to sit in, and more practical than most of its rivals. Ageing, but still brilliant. The right mix of power, noise, lightness and cost. Even the cleanest Conti delivers less than 27mpg, according to official figures. If you’re going to have a Bentley, why not have the fastest one? A Bentley is all about making a statement of prosperity, but in a way that’s sophisticated and elegant, rather than brash and showy. 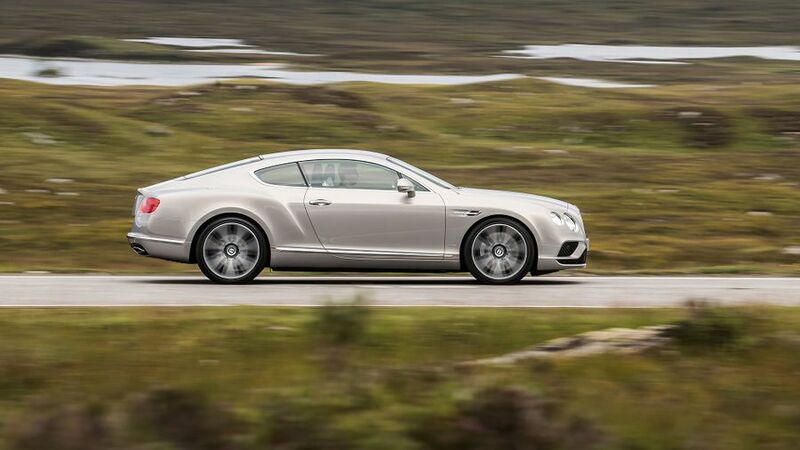 No surprise, then, the Continental GT employs lines and details that are clean and simple and, rather graceful. The size of the car – which is bigger than many of its Grand Tourer rivals – also gives it some aesthetic clout, but the wide stance and slippery shape are what really gives it its visual appeal. The sportier versions are given all sorts of extra embellishments – spoilers and skirts and the like – to make them look racier, but to be honest, we’d say the car looks better in its simpler forms. If you’ve ever wondered why Bentley’s cars cost so much, your query will be answered as soon as you climb inside. Very few car companies can build an interior like Bentley can. The bare minimum of plastic is used in the cabin’s construction, with wood, leather and metal being preferred. Everything is hewn, processed, finished and assembled by hand: those hands belonging to highly-skilled master craftsmen. It’s the expertise and time that’s put into the build that you pay for, and it’s worth every penny; the Continental GT has a feeling of solidity, quality and plushness that few other cars at any price can match. The driving position is spot-on, too, with the controls placed dead-centre in front of you, and lots of electric adjustment for the seat and steering column. All-round visibility is also pretty good for a car like this. Most of the various switches and dials are pretty simple to use, but unfortunately, that doesn’t apply to the touch-screen infotainment system. The menus are confusingly arranged, the screen isn’t sensitive enough and can be very slow to react, while the graphics look hopelessly outdated. Compare the Continental with GT car rivals like the Aston Martin DB11 in this area, and the competition can’t hold a candle to the Bentley. While the rear seats are a tiny bit snug on head- and knee-room, and you probably wouldn’t want to stay there for the duration of a pan-European schlep, there is at least enough for a pair of six-foot adults to fit in reasonable comfort for moderate distances. With most rivals, it’d be a miracle if they fitted at all. The Conti also has a considerably bigger boot than most of its rivals, with the 358-litre loadspace easily being enough for a couple of sets of golf bats or a generous portion of luggage. The access to it is better than in most rivals, too, with an opening that’s both wide and deep. As a GT car, the Conti’s primary purpose is to whisk you across continents quickly and comfortably, delivering you to your destination fresher than when you started. Even in the GT class, there aren’t many cars that can do the job as well as the Bentley. The air suspension has various settings to crank up the comfort levels, but whichever you pick, the ride is smooth, cosseting and controlled, keeping life very relaxed. The fact the car is so good at isolating you from unwanted exterior noises also helps enhance the peaceful, luxurious feel. Being civilised doesn’t mean the Conti is some slouch in the bends, though. It’s much bigger and heavier than rivals from Aston Martin or McLaren, so it’s never going to feel as agile or as pointy as those cars. However, with the huge grip and traction available from its advanced four-wheel-drive system, plus tight body control and sharp, responsive, beautifully weighted steering, the Bentley shouldn’t be left behind by its rivals on a fast-flowing road. There are many different flavours of Continental GT, each with a bigger, sillier, more powerful turbocharged petrol engine than the last. The range starts with a couple of V8s giving either 500bhp or 520bhp in the V8S, while further up the range sit a series of three 6.0-litre W12 options, giving 582bhp in the GT, 633bhp in the GT Speed, and no less than 700bhp in the Supersports. In its fruitiest guise, the car is capable of 0-62mph in just 3.5 seconds and a top speed of 209mph, but we don’t see much of a reason to go any further up the range than the excellent V8S. It has all the performance even the most demanding buyer could ever want – it’s blisteringly fast whether you’re pulling away from the mark or picking up speed on the move – and it sounds way better than the more expensive W12 engines, with a deep, satisfying bellow as the revs climb higher and higher. Rev it out to the upper reaches of the dial and lift off the throttle, and the exhaust pops and crackles in truly theatrical fashion. Even better, the V8 is a lot lighter than the W12, and that endows the whole car with a good bit more agility and responsiveness. The fact it’s a good bit more efficient is a bonus, too. What’s more, the engine works extremely well with the eight-speed automatic gearbox, which operates smoothly and quickly at all times. Nobody will be under any illusion that running a Bentley will be cheap. Even the cheapest version will cost you a six-figure sum to buy, and with weaker sell-on values than rivals from Aston Martin and McLaren, you won’t get as much of your money back when you move on to pastures new. Even the most efficient versions – the V8s – can only manage official fuel economy in the mid-twenties, and that’s if you behave yourself. If you’ve spent all this money on a car with a big engine, you probably won’t. However, this level of fuel economy does compare well to the figures of the rivals mentioned. The W12 models are thirstier, with official figures in the high teens. CO2 emissions will be similarly astronomical, so expect to get soundly clobbered by the taxman, too. The Warranty Direct Reliability Index will make worrying reading for your average Bentley buyer. 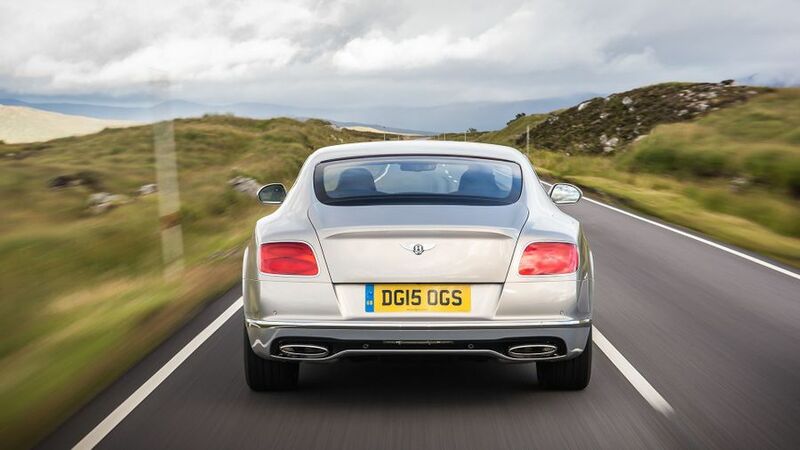 The brand sits rock-bottom of the manufacturer standings, and because the Continental GT is the only Bentley model name-checked in the study, this car is pretty much wholly responsible for that. Just as worryingly, the Continental sits firmly in the list of the study’s ten worst-performing cars. That’s mainly due to the comparatively vast amount of money malfunctions cost to repair. Bentley would argue the poor performance is because these examples of the car are, by nature of their inclusion in the study, likely to be serviced and repaired outside of the Bentley dealer network, meaning the parts and labour used may not be of the necessary standard to keep trouble at bay. Whatever the truth, electrical issues seem to be the most common source of trouble, and that’s backed up by the owner reviews on our site, although they don’t report any reliability horror stories. There’s no Euro NCAP crash test score available for the Continental, and that’s unlikely to change. The car’s advanced four-wheel drive system, along with a three-mode stability control system, should help you keep the car shiny-side-up. Just in case you really get things wrong, there are five airbags to help keep you safe in the event of an accident. All-round LED lighting, not to mention the car’s huge presence, should also help ensure you never go unseen by other road users. Perhaps surprisingly when you consider the cost of the car, adaptive cruise control – which keeps you rolling at a safe distance from the car in front – and a reversing camera, are optional extras. The Conti comes with enough luxury equipment to make the car feel, well, luxurious, and that includes climate control, leather upholstery, cruise control, an automatic gearbox, an electronic parking brake, and a touch-screen infotainment system that brings together sat-nav, Bluetooth and MP3 connection. Being a Bentley, all sorts of optional extras are available, ranging from the conventional (sports exhaust, TV tuner, WiFi hotspot), to the fanciful (personalised kick plates and embroidery, mirror-finished oil and fuel filler caps). 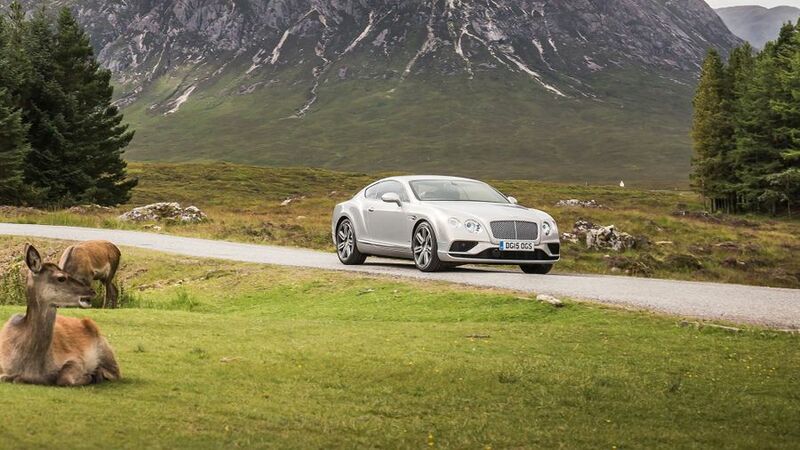 Because you want a Grand Tourer, and that’s all you want. If you want your GT to double as a sportscar, go for a McLaren 570GT. If, however, you want your Grand Tourer to be as good as it can be at the business of grand touring, nothing does it like the Conti. 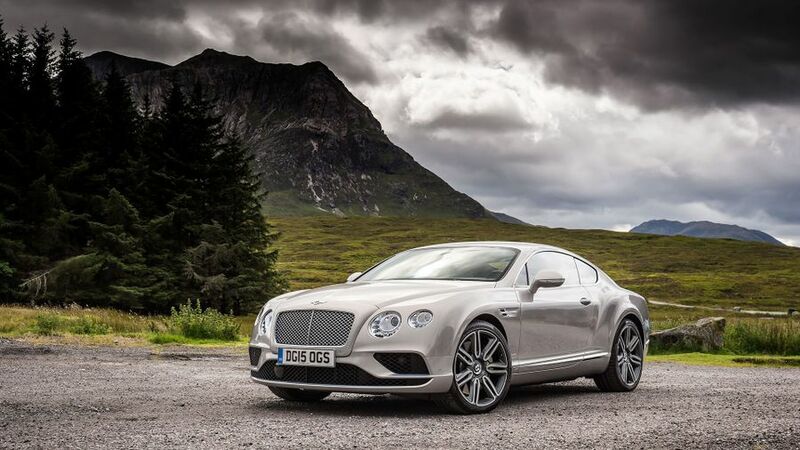 Fast, comfortable, luxurious, practical, that’s exactly what you want from a GT.